Kiff VandenHeuvel has appeared in Batman V. Superman: Dawn of Justice, IFC's Documentary Now!, NBC's This is us, HBO's Behind the Candelabra, Parks and Recreation, Nightcrawler, The Family Guy, La-La Land, and he is known by most kids as the dad, Cliff Rich on Netflix's insane family series Richie Rich. As a voice actor, Kiff does a wide variety of work. He has appeared in many legendary video games such as World of Warcraft, Dishonored 2, Star Wars: The Old Republic, The Walking Dead, and is best known for his portrayal of the villain Zachariah Hale Comstock in Bioshock: Infinite. Kiff narrates the television series Disappeared for ID Network and narrates audiobooks, most notably, Austin Goldman's brilliant sci-fi Crooked as Richard Nixon and he voice-matches Vince Vaughn in Delivery Man and Unfinished Business, Sylvester Stallone in Bullet to the Head and Tom Hanks, Danny Trejo, Jason Statham, Tony Shalob, and Vincent D'Onofrio in movie trailers. 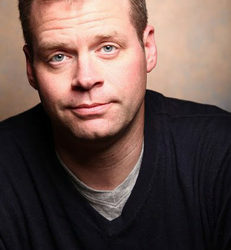 Kiff is an alumnus of The Second City resident companies in Detroit and Cleveland and taught and directed at Second City Chicago. Kiff hosts a hilarious weekly podcast about voiceover called "All Over Voiceover" and it's available wherever podcasts are streamed free. Kiff teaches voiceover and improvisation at Second City Los Angeles.